If you are looking at vehicle options when considering purchasing and RV, you may have asked yourself, 'do I need a special license to drive a motorhome?'. For many folks taking their initial foray into RVing, travel trailers and 5th wheel trailers offer an easy entry point. These relatively small and affordable trailers can be hitched to your existing vehicle, a car, SUV, or pickup truck. When going for lightweight trailers (under 10,000lbs), you don't have to worry about driving licenses, as you are basically using your car as a towing vehicle. 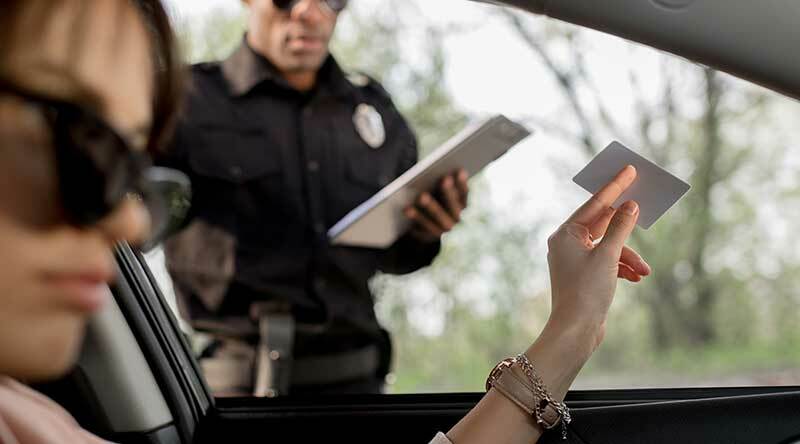 Your existing driver’s license is more than adequate. But motorhomes are often a different proposition altogether. The true behemoths of the RV world, these vehicles can range in length from 26 feet all the way to 45 feet. While the smaller ones are built on small van or truck chassis, the bigger RVs tend to be based on 18-wheel commercial bus or truck chassis. So it stands to reason that if you are planning to drive a vehicle the size of a commercial vehicle, you might need more than a regular DL. In most cases of driving RVs for personal use, the answer is NO; you do not need any special driving license. As long as you are driving the RV for personal use, and not as a chauffeur or anything of the sort, a regular driving license should be enough in most states. The Federal agency called FMCSA is responsible for setting the guidelines and basic rules for commercial heavy vehicle licenses in the US. RVs for personal use do not fall into the definition of a commercial motor vehicle. But states are free to set their own standards, as long as they are stricter (not below) the Federal rules. Some states may require you to have more than a regular driver’s license if you are driving a larger, heavy RV above a set threshold. If you live in these states and plan to drive a large Class A Motorhome, you should check the local DMV laws. If you are a resident of a state where you are required to have a special license for an RV, there are severe legal and financial consequences for non-compliance. If you are caught driving an RV in the state without the valid license, you can at least expect the cops/state troopers to fine you. If you do end up in an accident driving an RV, you are not going to get any insurance for sure. And depending on the severity of the crash, you could end up getting fined, sued, or worse, serving time in jail. As we already mentioned, in MOST cases, you will not need a special license as the threshold is set quite high. But if your RV is a heavy Class A, you should check the weight limits at your local DMV website or office just to be certain. All information we provide here is only for guidance purposes. Local DMV rules and Federal regulations are subject to change from time to time. We do the utmost to ensure that all information provided here is up to date. For the most accurate information, always check with your local DMV site, or the relevant Federal Government/Agency website. Before we delve into the legal requirements for driving any motorhome, we need to have a baseline understanding of the different types of licenses used on road vehicles in the US. There are several categories of driver’s licenses in most parts of the world, and the US is no exception. Each state has its own DMV rules and license categories, but almost all of them have separate licenses for commercial and non-commercial use. A regular driver’s license, often called Class D license, can be used to drive any vehicle with a gross weight below 26,000 lbs. Commercial licenses (CDL) are often divided into two or three separate classes, A, B, and C. The distinctions are based on the total weight of the vehicle, and presence of any towed vehicle (above 10,000 lbs). Some states also have a Special Non-Commercial Driver’s License, aimed exclusively at folks who plan to drive the larger Class A motorhomes, or other large RVs. The problem here is that there is no single licensing system for drivers in the US. Though there are Federal rules and guidelines, states are free to set their own standards based on the Federal guidelines. License requirements for motorhomes are based primarily on the total weight of the RV. Thankfully, the threshold is usually the same across all states in the US. If the weight of the motorhome exceeds 26,000 lbs, you will need to apply for a commercial driver’s license or special non-commercial license in many states. There are several weight-related classifications associated with an RV, be it a trailer or motorhome. Which is the one that is important for driver’s license? When an RV rolls out of the factory floor with a full fuel tank, oil, and coolant, its weight is called the Unloaded Vehicle Weight (UVW). Each motorhome comes with a manufacturer rating called the Gross Vehicle Weight Rating, or GVWR. This is the maximum weight threshold of the RV, with cargo and passengers. When the dealership added all the accessories and fittings, and you add your supplies and belongings, Cargo Weight is being added to the UVW. GVW = UVW + Cargo weight. The GVW is the total weight of your fully loaded motorhome. For safety reasons, it should never exceed the max weight rating of that RV. The value that is most relevant for driver’s license requirements in the Gross Vehicle Weight rating, or GVWR. In a few states, the length of the RV is also a factor. 45 feet is the stated threshold, over which you will need a special license. Let's start with the simplest category. If you have driver’s license in any of the following states, you do not need to consider applying for a special license, regardless of the gross weight of your motorhome. In almost all these states, RVs used for personal purposes are given an explicit exception, even if they exceed the 26,000lbs weight threshold. These are the handful of states where they require you to have a Class A or B Commercial Driver’s License for large RVs (above 26,000lbs or 45 feet). If you have a Class A Motorhome that exceeds these limits, you should contact your local DMV. Arkansas - A CDL is required if your RV has a GVWR above 26,000lbs. Wisconsin - A CDL is required if the length of your motorhome exceeds 45 feet. These are the states where they require a special non-commercial license for heavy RVs above 26,000 lbs GVWR. California - you need a Class B license if the motorhome exceeds 40 feet or 26,000 lbs. If you are towing a trailer above 10,000lbs, a Class A license is required. Maryland - Class B license is required. North Carolina - same as California, minus the 40 feet limit. Nevada - Class B for single motorhome, Class A for multiple (towed) RVs with a combined weight above 26,000lbs, “J” endorsement if multiple towed vehicles are under 26,000 lbs and the towed vehicle is above 10,000lbs. New York - “R” endorsement for all RVs above 26,000lbs. South Carolina - Class E license for single motorhome, Class F for multiple RV-trailer combos above 26,000 lbs combined weight. Wyoming - Class B license for motorhomes with or without towed vehicles under 10,000lbs, Class A if the towed vehicle is above 10,000lbs (combined weight is above 36,000lbs). What To Do If Your RV Is Above The Weight Threshold? There are two avenues open for you if your motorhome requires a CDL or special license in your home state. If you haven't bought the vehicle already, you might want to look for a smaller option elsewhere. Motorhomes that qualify for special license are not very common. Even in the largest Class A category, you can easily find motorhomes that you can drive anywhere in the US with just a regular driver’s license. If you have already paid up for the RV, then your best bet is just to go out and get the required license or permit/endorsement. It is the safest option when you consider the insurance and legal implications. Check your local DMV site or office for further guidance. The guidelines for RV drivers are scattered across state lines. But based on what we have managed to gather, a vast majority of RV owners do not require any special licenses to drive their vehicles anywhere in the United States. But in exceptional cases, where you are paying big money for a massive Class A motorhome, you might find yourself qualifying for a special license requirement. Always check your local DMV rules before investing in a motorhome with GVWR above 26,000lbs.